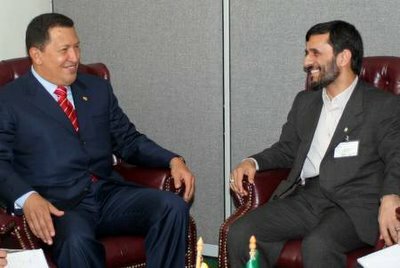 Iran’s Ambassador to Cuba Ahmad Edrisian conferred on Monday with Venezuelan Foreign Minister Ali Rodriguez, who is currently visiting Havana, on the expansion of trilateral cooperation among Iran, Cuba and Venezuela. The Venezuelan foreign minister described current relations between Iran and Venezuela as ‘excellent’. Joint economic cooperation, such as manufacturing of tractors, and construction of cement factory, indicates the depth of such friendly ties, he said. Welcoming trilateral cooperation among Iran, Venezuela and Cuba, he called for implementation of agreements signed earlier by the three countries.